In their message congratulating H.H. Dorje Chang Buddha III on His birthday, United States President Donald Trump and First Lady Melania Trump stated, “His Holiness Dorje Chang Buddha III, Pasadena, California. Your Holiness, we are pleased to join your family and friends in wishing you a happy birthday! As you celebrate this special occasion, we pray your year ahead is filled with good health, happiness, and the many blessings of our great Nation. With very best wishes.” A number of senior congressional members from both the House and the Senate also sent letters to congratulate H.H. 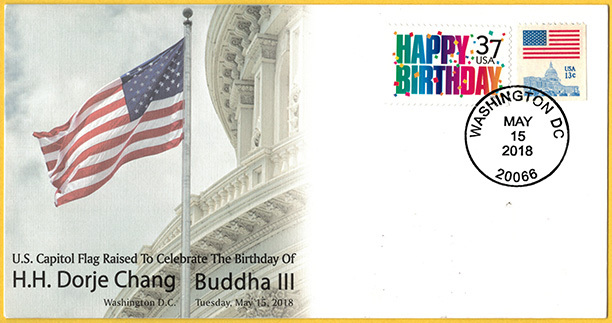 Dorje Chang Buddha III on His birthday, including House Speaker Paul Ryan, Chairman of the House Foreign Affairs Committee Ed Royce, former Chairperson of the Senate Intelligence Committee Dianne Feinstein, the Ranking member of the Senate Committee on Appropriations Patrick Leahy, and others. Venerable Mozhi, the person in charge of World Buddhism Association Headquarters in the United States, announced at the dharma assembly that a Buddhist city will be built at Holy Heavenly Lake in California. This Buddhist city will be similar to the Vatican, where the Pope of Catholicism resides. The “True Dharma Temple,” where H.H. Dorje Chang Buddha III will reside, will also be built there. Holy Heavenly Lake is a Buddhist treasure-land. Beneath it is a huge underground crystal lake. Below the lakeside of Holy Heavenly Lake, there is also an underground river which is one of the two great underground rivers in the world that flows from south to north. That place is truly auspicious! The Buddhist city will accommodate temple clusters, businesses, tourism, hotels, rivers and ferry boats, all threaded together into an aquatic city by nautical waterways. Most important of all, the Ancient Buddha True Dharma Temple—the holy site for spreading true Buddha-dharma—will become the most authentic holy site in the world for propagating true Buddha-dharma! In the early years when H.H. Dorje Chang Buddha III was in Chengdu, China, living supplies were scarce and people lived on rations. Whenever His Holiness was home, patients with all kinds of illnesses came in an endless stream to seek treatment. Three hundred people registered to seek treatment from Him each day. His Holiness the Buddha always treated patients with no conditions attached and without accepting even one cent. 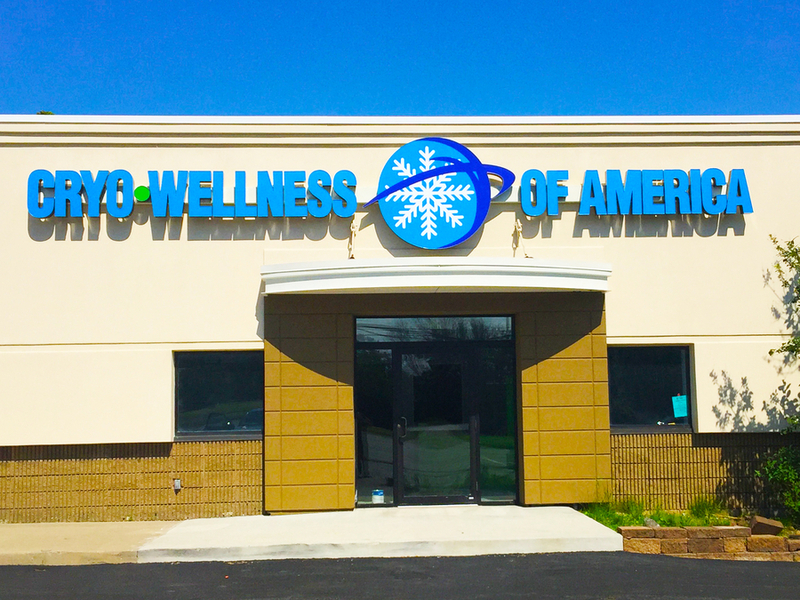 When encountering poor patients who could not afford their medicine, H.H. Dorje Chang Buddha III even gave His own limited rationed living supplies to those poor and sick patients. Even when His Holiness had nothing to eat and was about to faint, He still refused to accept the food offered by His patients. In His teenage years, H.H. Dorje Chang Buddha III used the iambic format of “Nian Nu Jiao” to compose the verse “Immediate Entry into the Universe,” in which He wrote, “Three thousand patients come to my door. Day and night, I apply herbal medicine to do wonders.” That was a depiction of the situation then. In 2013, the elderly Mr. Pan came for the last time to America to pay respect to H.H. Dorje Chang Buddha III. He said that he had reached an advanced age and was preparing to leave this world. He had come that time to present a large amount of gold as an offering. Mr. Pan was once the deputy chief of staff to Dai Li, who was a senior official in the Kuomintang (Nationalist Party). Mr. Pan was responsible for managing some business and financial affairs for Dai Li. At that time, Mr. Pan bought a large amount of gold, which was put away in a Hong Kong treasury. The gold bars weighed two kilograms to five kilograms apiece, and there was a huge quantity. He wanted to present all the gold to H.H. Dorje Chang Buddha III as an offering. He even discussed with Judy Kuan whether to transport the gold by plane or ship. You can imagine the vast quantity! H.H. Dorje Chang Buddha III immediately refused the entire offering and did not even allow him to mention the word “gold” again. To stop the elderly Mr. Pan, H.H. Dorje Chang Buddha III told him not to mention making an offering again; otherwise, his karmic connection with the dharma would be damaged. You cannot even imagine that in the twenty years during which H.H. Dorje Chang Buddha III has lived in the United States, His Holiness has not even had a dining table. He always eats His meals at the kitchen counter. Many Buddhist eminent monastics and greatly virtuous ones have eaten meals with H.H. Dorje Chang Buddha III. They, too, stood beside the kitchen counter just like H.H. Dorje Chang Buddha III did. Almost all of the space inside the home of H.H. Dorje Chang Buddha III is taken up by the storage of Buddhist objects and His Holiness’ accomplishments in the Five Vidyas. I once personally saw H.H. Dorje Chang Buddha III sewing and mending His own clothes. His Holiness said with a smile, “Too bad, I accidentally slit it!” How could an ordinary person fathom the holy purity and greatness of H.H. Dorje Chang Buddha III? This year, senior officials from the White House were guests at the home of His Holiness. One of them asked His Holiness, “Seeing your artistic accomplishments, there is a puzzle that none of us can figure out. Do you spend twenty-four hours every day to create art? Even if you spent twenty-four hours a day, you still could not possibly have created so many artworks!” H.H. Dorje Chang Buddha III replied, “I am very ashamed. I am immersed in Buddhist matters every day. I spend so very little time creating art.” That senior official from the White House then asked, “We have seen your artworks. There is one piece that you could not have possibly finished even if you worked on it every day for several decades. That is what we are unable to understand. How did it come into being?” The person in charge of the Office of H.H. Dorje Chang Buddha III replied, “The piece you saw is only one percent of the artworks created by His Holiness the Buddha.” Upon hearing that, everyone was even more astounded and puzzled. This truly is a fact that cannot be explained through ordinary human thinking. It has been twenty years since H.H. Dorje Chang Buddha III came to America. Throughout all these years, His Holiness has been voluntarily serving the public. Although there are designated people who prepare the meals for His Holiness from another work area, whenever the cooks ask H.H. Dorje Chang Buddha III what He would like to eat, He always relies, “I eat whatever you prepare. Something simple and in a small amount is fine.” For twenty years, H.H. Dorje Chang Buddha III has never specified the food that He wanted to eat. Those people are cooks in His Holiness’ own kitchen, yet His Holiness has never had any craving for the joy of food throughout these decades! The innate character of H.H. Dorje Chang Buddha III cannot be fathomed by common people. H.H. Dorje Chang Buddha III never reveals His true state of Buddhahood to the world. When evil masters slandered His Holiness by saying He is not a Buddha, He did not mind in the least and never manifested His holy realization to prove that He is a Buddha. Last year, some people of evil spirit brought on demonic forces to damage the wisdom-lifeblood of numerous Buddhist disciples. When someone openly raised questions about that, H.H. Dorje Chang Buddha III reluctantly manifested the true appearance of Buddha in order to save living beings. White thin hairs instantly emerged between His Holiness’ eyebrows. At the time, some people saw one white hair, while others saw a large tuft of white hairs. Some saw white spiraling hairs intertwined like pearls. Some saw the hairs radiating and standing like steel needles, emitting white light. During the same time, what each person saw was different. A Caucasian who was a high government official said that he did not see the white hairs but did see two completely different visages of H.H. Dorje Chang Buddha III within one minute! When H.H. Dorje Chang Buddha III manifested His sambhogakaya appearance as a Buddha, His entire face became the bright and beautiful color of red coral. Moreover, the two sides of His face emitted strong light, like that of the sun, causing some people to be unable to open their eyes. His Holiness also manifested the even-teeth appearance, which is one of the thirty-two marks of a Buddha! For example, many years ago H.H. Dorje Chang Buddha III was falsely persecuted, which led to the launch of a special investigation by INTERPOL. That was three full years of tribulation. Yet, just as real gold fears no fire, a man of integrity can stand severe tests. The case against His Holiness was dismissed during the 72nd session of the Commission for the Control of Interpol’s Files. Official written notification was subsequently issued to all member countries of INTERPOL, informing them that they cannot detain H.H. Dorje Chang Buddha III. China also submitted a report stating that H.H. Dorje Chang Buddha III did not commit any crime, and China requested that INTERPOL withdrawal the case against Him. INTERPOL even specially issued a document to H.H. Dorje Chang Buddha III regarding the conclusion of the case. After His Holiness received that document dismissing His case and clearing Him of all the smearing targeted against Him, His Holiness did not agree to show it on the internet. When asked why not, H.H. Dorje Chang Buddha III said, “If my name is cleared, then the names of those who harmed me will not be cleared.” His Holiness the Buddha does not bear any anger or hatred toward those who harmed Him. His Holiness would rather be misunderstood by the world than have those who slandered and harmed Him experience suffering or dreadful consequences. What selfless, compassionate, and magnificent Buddha-character this is!